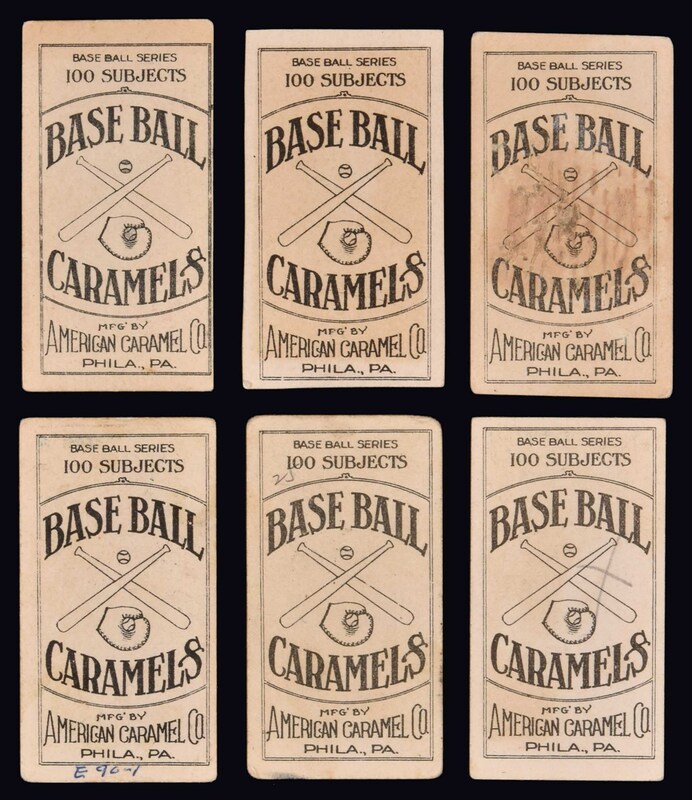 Collection of fourteen different E90-1 American Caramel Hall of Famers, highlighted by Christy Mathewson and Eddie Plank. 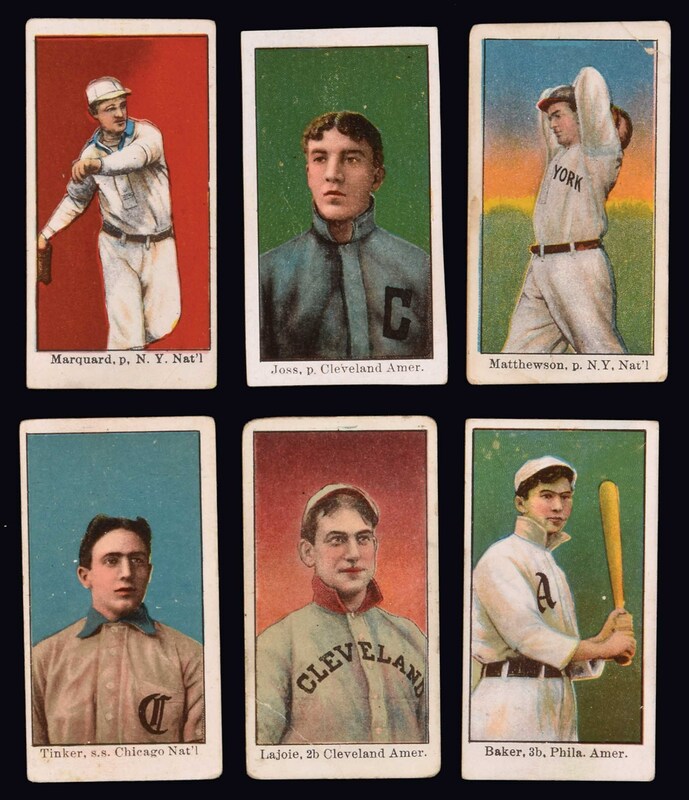 The collection consists of the following: Baker (pencil on reverse, otherwise Vg), Chance (Vg), Clarke/Philadelphia (Fr), Collins (pencil on reverse and tilted factory cut, otherwise Vg+), Crawford (Fr due to small tear on right edge), Jennings (Pr), Joss/portrait (all edges trimmed, otherwise Vg-Ex+), Joss/pitching (Pr), Keeler/pink portrait (Fr), Lajoie (pencil on reverse, otherwise Gd), Marquard (measures a bit narrow, otherwise Vg), Mathewson (Pr), Plank (Pr-Fr due mostly to paper loss and pencil on reverse), and Tinker (Fr due mostly to pen and light glue residue on reverse). 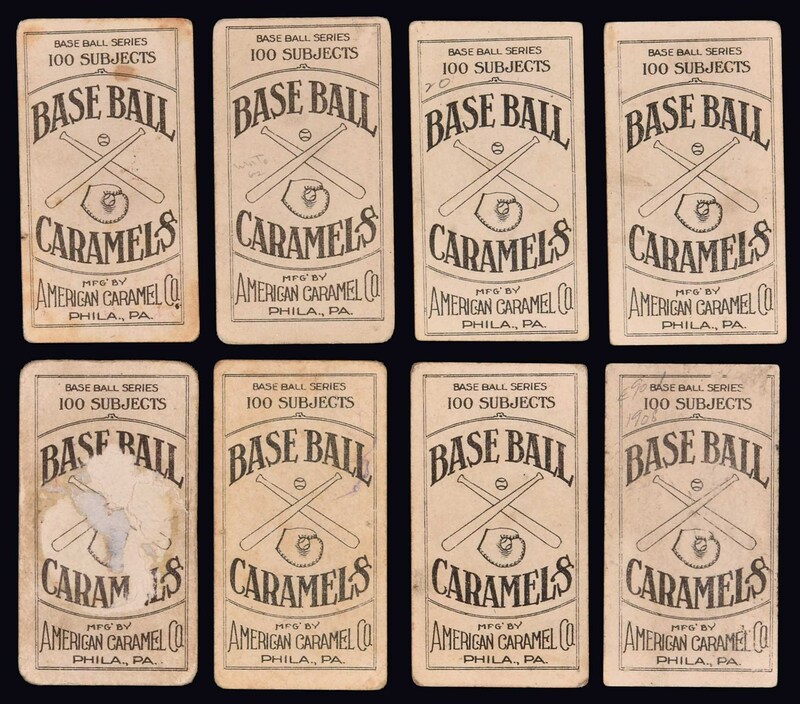 This is a presentable low-grade collection of exclusively key Hall of Famers from the most widely collected and popular of all 1910-era caramel-card sets. 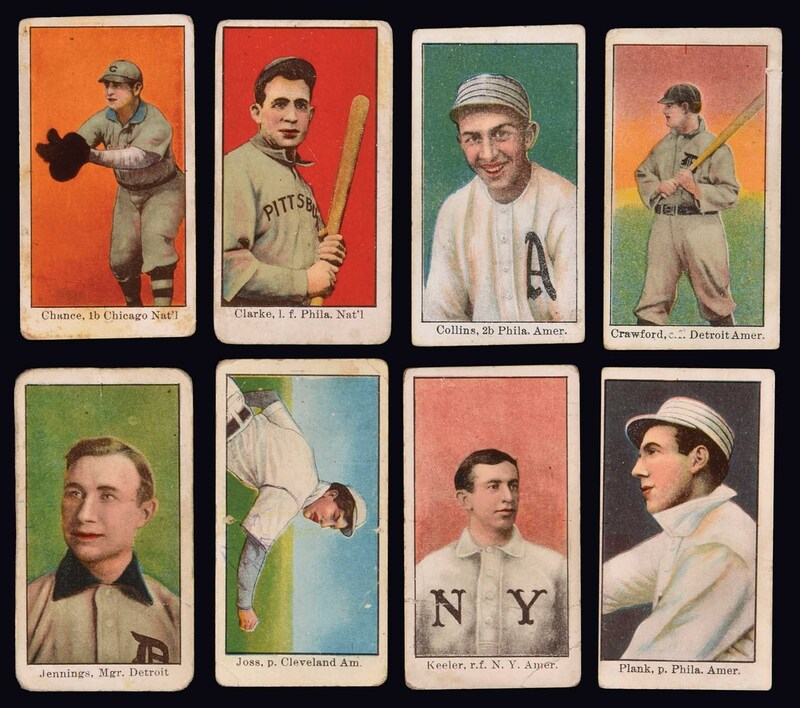 Total: 14 cards. Reserve $400. Estimate $1,000+.